EN AW 6061 Aluminium Extruded Profile is with heat treatment alloy . It has good formability, weldability and machine Processing performance, with moderate strength, can maintain good strength after annealing. 6061 T6 is the hard aluminum, with high strength and high production cost .Aluminium extruded profile 6061 T6 has the good formability and weldability, processability, with moderate intensity at the same time, can still maintain a good operational after annealing. aviation fixtures, trucks, tower buildings, ships, pipelines and other applications requiring strength, weldability and corrosion resistance. 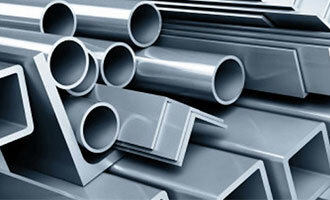 Looking for ideal 6061 T6 Aluminium Round Tube Manufacturer & supplier ? We have a wide selection at great prices to help you get creative. All the Aluminium Flat Bar 6061 T6 are quality guaranteed. We are China Origin Factory of 6061 T6 Aluminium Profile for Aerospace. If you have any question, please feel free to contact us.